While many misguided folks think Florida is all about golf courses, Florida is really all about water and wildlife. We live on a peninsula with over 1,500 miles of coastline. We have the greatest concentration of freshwater springs in the world. We have rivers and lakes and lagoons in abundance. And all of this water provides habitat for an amazing variety of animal life. 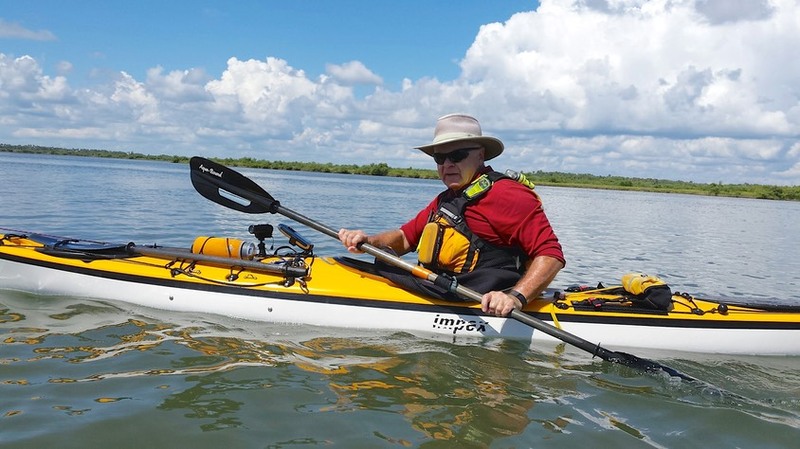 A number of organizations, including Paddle Florida and the Florida Paddling Trails Association , have set the goal of trying to connect people to this wild side of Florida. The Florida Division of Recreation and Parks has this goal as well. 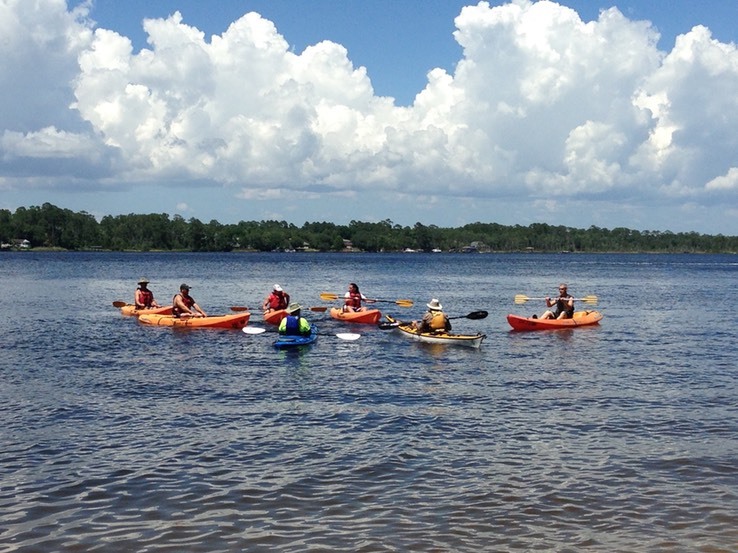 Florida’s state parks are arguably the best in the country and give access to many of these water resources. 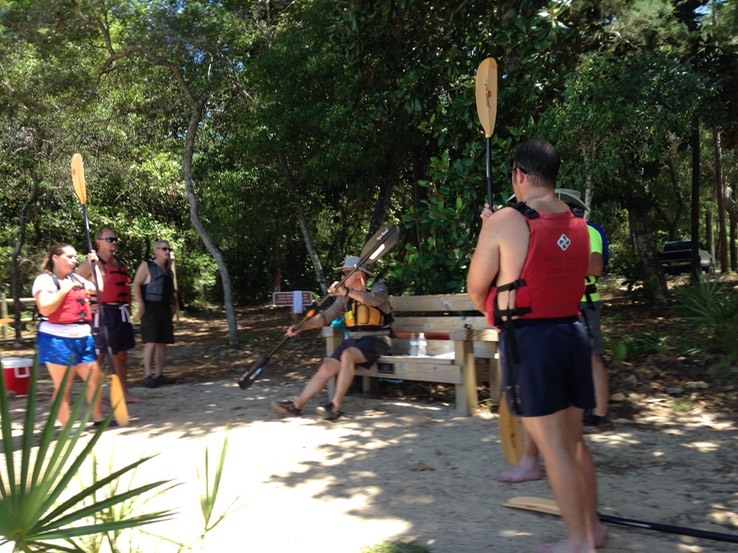 To enable these parks to offer guided paddling trips, the office of Greenways and trails under the leadership of paddling trail coordinator, Liz Sparks has initiated a volunteer program whereby vetted volunteers are provided with ACA Level II guide certification (the state pays for half of the training cost, the volunteers pay the balance). 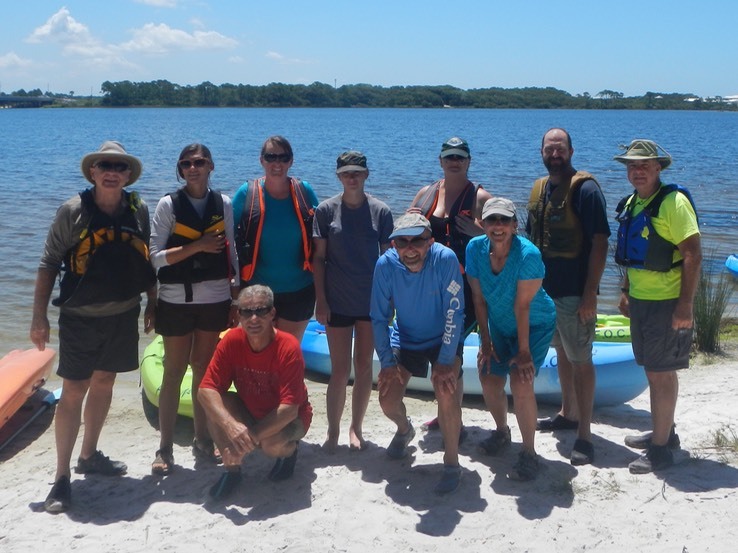 These volunteers can support the goal in two ways: by volunteering to lead short trips within state parks and/or by training and certifying park rangers to lead these trips. For a variety of reasons I have chosen to do the latter. As there were no trainers near the two Panhandle parks requesting ranger training and certification, and since I had never been in the Panhandle before, I volunteered to do the two trainings, one in the morning at Camp Helen State Park and the other in the afternoon at Rocky Bayou State Park. The training and certification sessions take about two hours to complete, and as the parks were about an hour’s drive apart, it was doable in a single day. Below is my shorthand version of the skills the rangers had to demonstrate to be certified. I was fortunate to have Will Smith, another volunteer, to assist me with these trainings and handle all the paperwork. 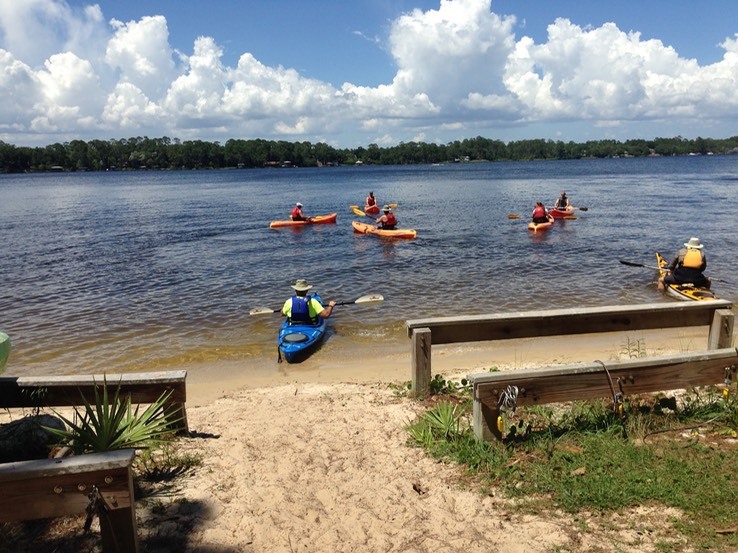 Most of the parks have only sit-on-top kayaks as rentals, as more non-kayakers are comfortable in them and they are inexpensive to buy. Unfortunately, neither Will nor I have much experience in sit-on-tops. However, this didn’t seem to be a problem. In fact, we learned a few new tricks while watching the self and assisted rescue drills using them. The photos below (taken by Lisa, my wife, with an iPhone 5) give some idea of what the training was like. What a beautiful Spot! 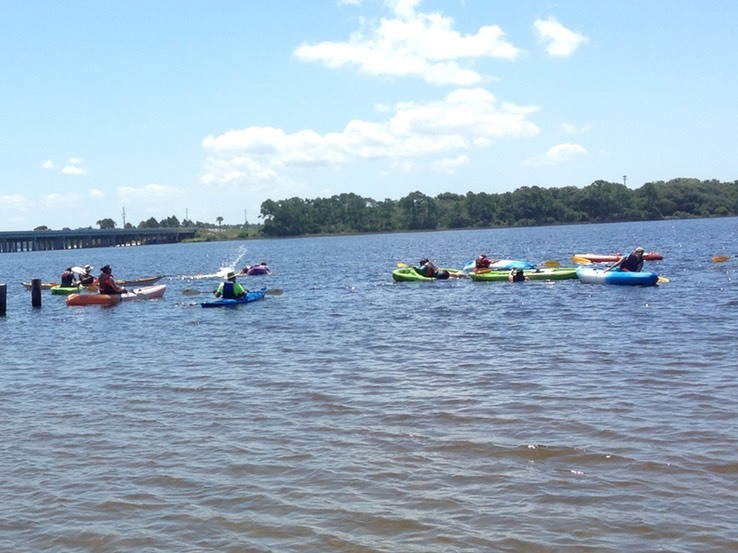 Most parks have only sit-on-top kayaks to rent. Unfortunately, neither Will nor I have much experience with them (Rocky Bayou SP). 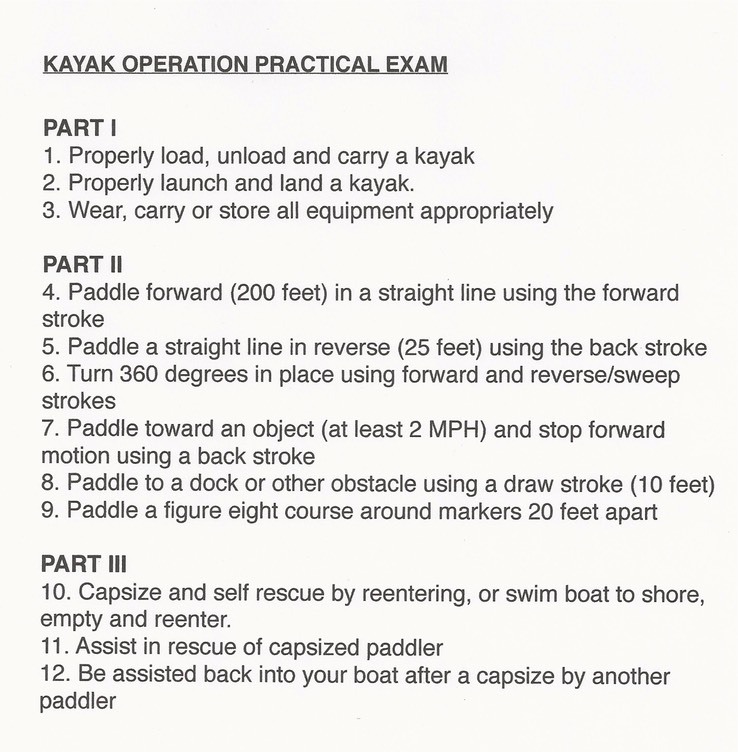 Basic skills taught and assessed on the water (Rocky Bayou SP). Self and assisted rescue training and assessment (Camp Helen SP).